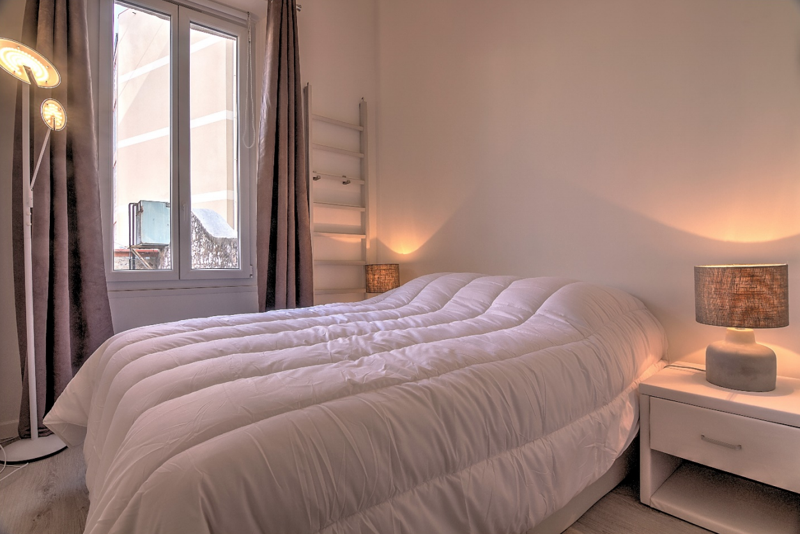 This one-bedroom city centre apartment on the second floor is only eight minutes' walk from the Palais des Festivals. 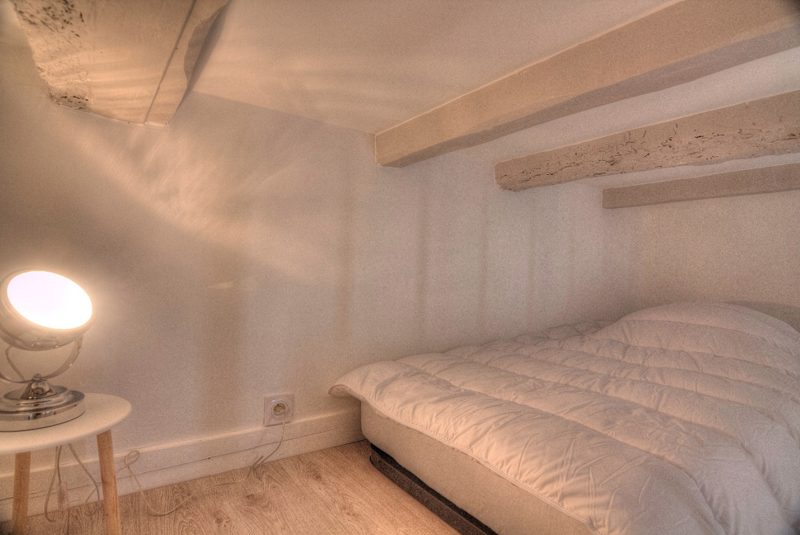 Its bedroom contains one double bed, whilst another double bed is found on the mezzanine. Additionally, a sofa bed will accommodate even more guests. The bathroom holds a shower and a WC. 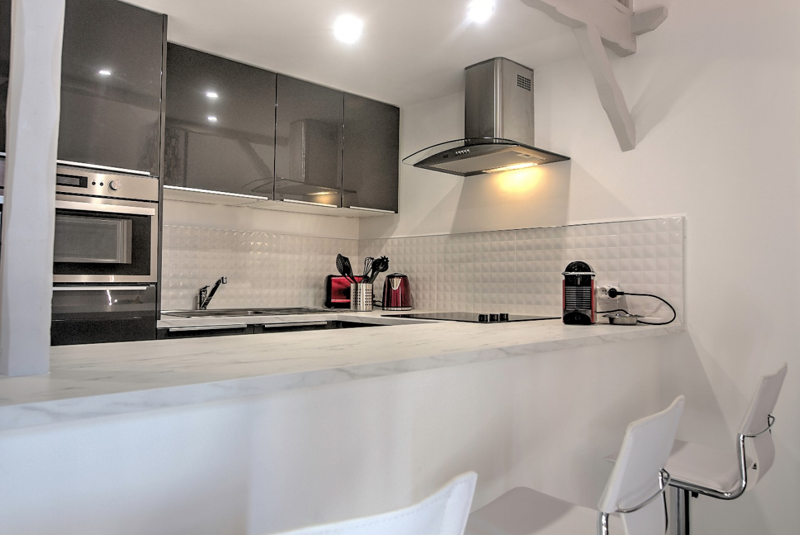 A living room contains a fully-equipped kitchen. 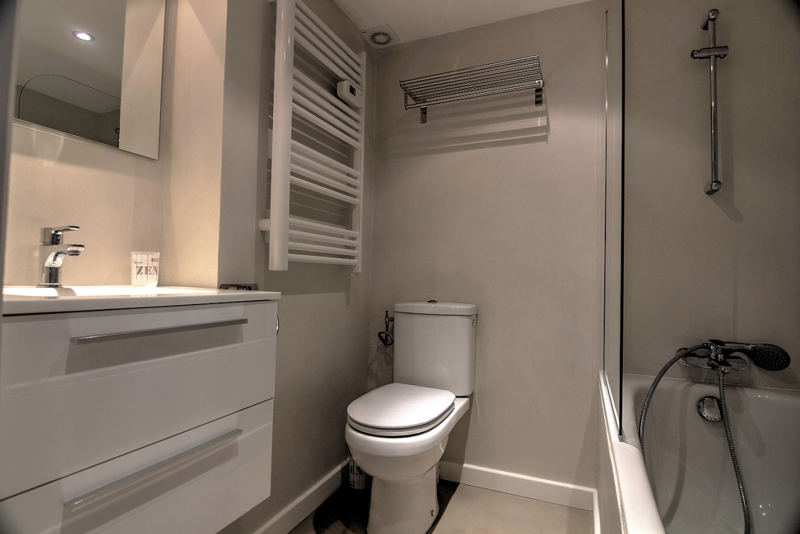 Guests will enjoy home comforts such as internet access and air conditioning.